We're happy to talk to you about arranging for your school or college to come up to campus. 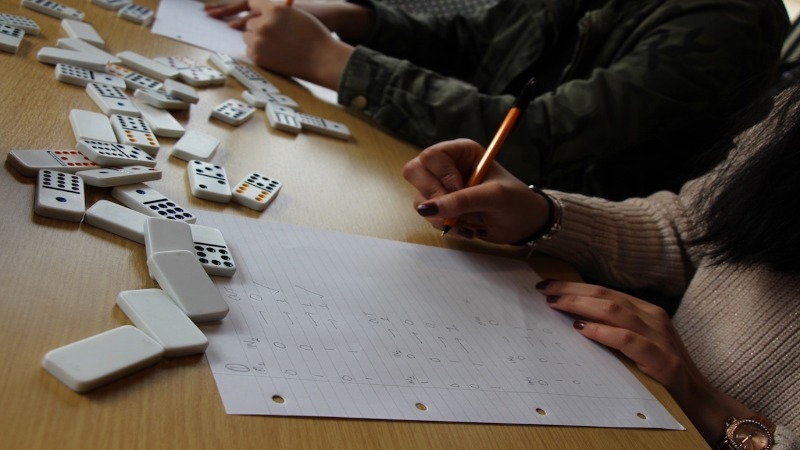 We run a variety of mathematics taster days, to give an insight into what maths could be like at university and support students in current curriculum activities. These include talks or workshops. Often the taster days are run in partnership with the Advanced Mathematics Support Programme (AMSP). Email maths-outreach@bath.ac.uk for more information or to discuss the opportunities available. A student outreach group who communicate maths to the public. 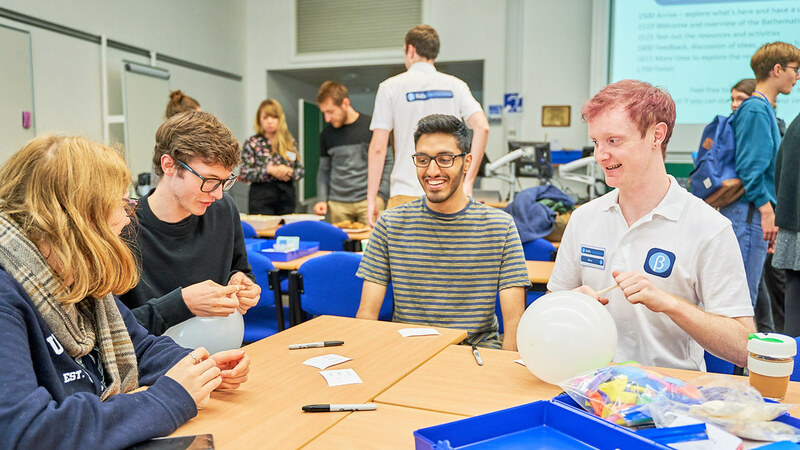 The Bathematicians offer a variety of workshops delivered in schools or on campus showcasing a range of interesting but accessible mathematical ideas. Each October we run a hands-on mathematical outreach project for the general public often in association with Think Maths. The 2018 project for Think Maths is The Mirror Pillar which is on display in The Edge on 30 October to 2 November. The university offers a series of summer schools. Maths has a strand in the Science summer school programme. By attending a maths summer school and studying mathematical content in depth, you'll improve your chances of A Level success and fin out how the subject is taught at university. Working with university lecturer and current students, you would be exposed to what studying maths at university is really like. Email widening-participation@bath.ac.uk for more information or to discuss the opportunities available. 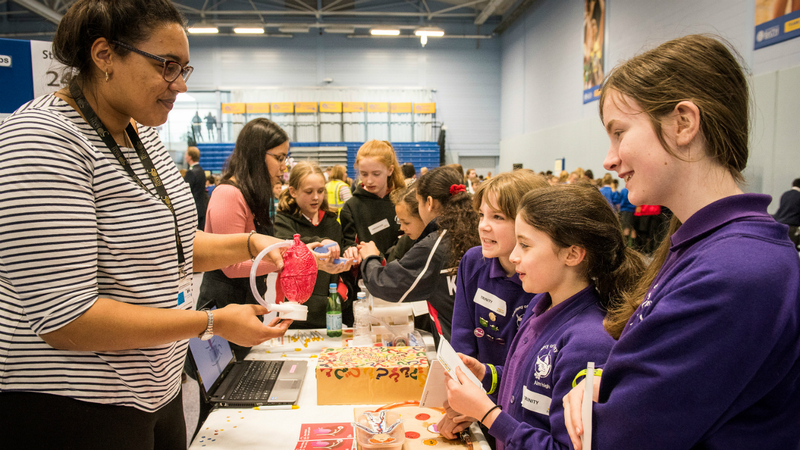 People of all ages are invited to this annual award-winning festival to learn about research in science and engineering. Bath Taps into Science is a week-long festival focused on inspiring and engaging children, families, and adults with science and engineering. The festival takes place during British Science Week in March and has won numerous awards. In 2018, the Department of Mathematical Sciences contributed stands at the family and schools fairs and offered talks and lectures throughout the week. We host masterclasses throughout the year. Royal Institution masterclasses are hands-on and interactive extracurricular sessions that are led by experts from both academia and industry and are aimed at young people from all over the UK.